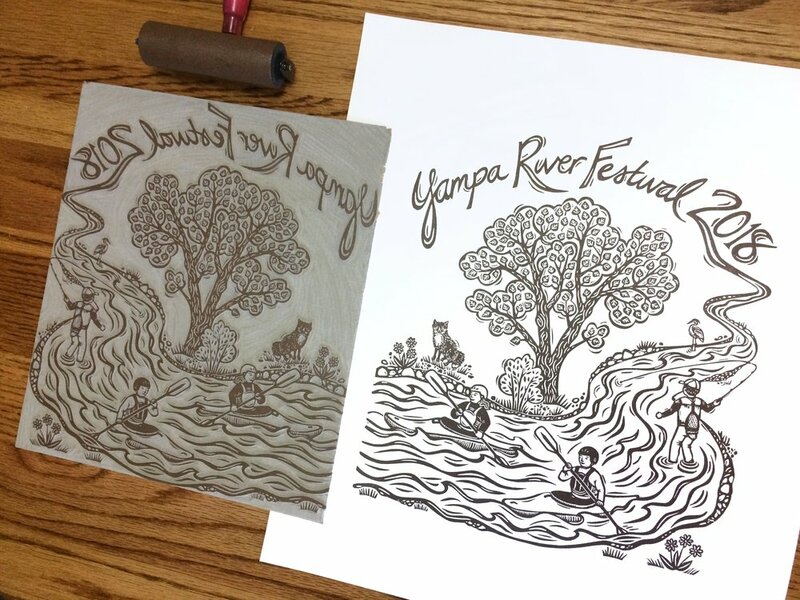 The Friends of the Yampa has a River Festival every year that includes fun boating competitions as well as talks relating to the Yampa, and independent river films. This year, I got to do artwork for their t-shirts and advertising. 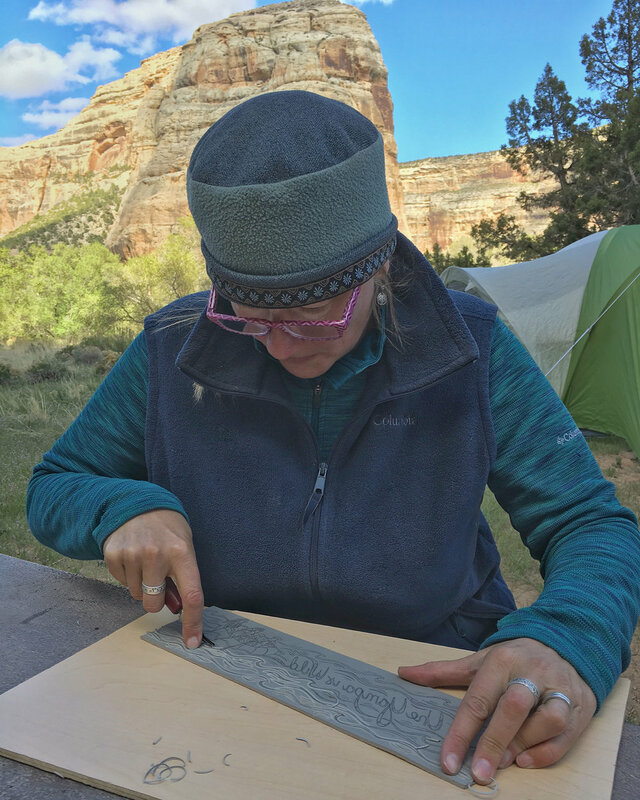 And in fact, I actually carved the long Yampa is Wild linocut during a camping trip to Echo Park where the Yampa meets the Green River. 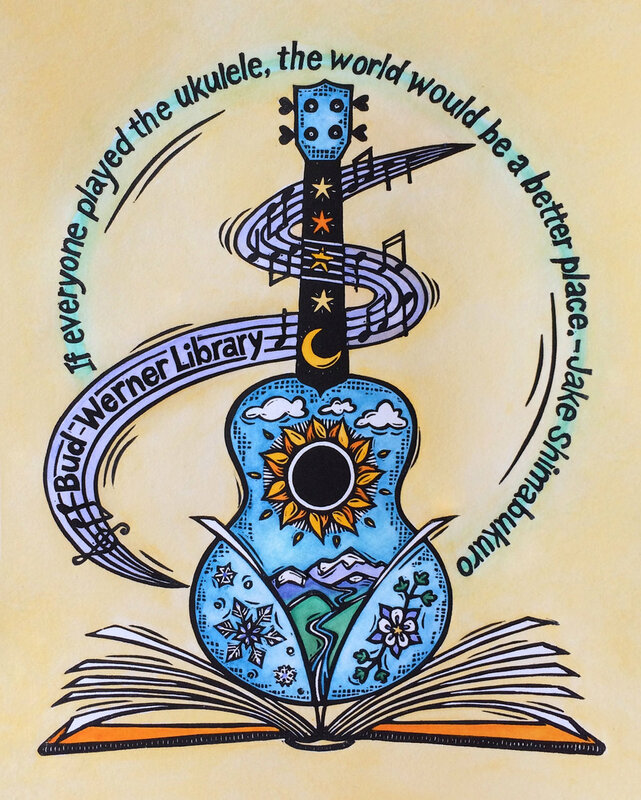 What a special place!